If it is time to get a traffic ticket lawyer, the attorneys at the Law Office of Todd E. Tkach, P.C. represent people who have received traffic citations in all jurisdictions throughout the Dallas/Fort Worth metroplex, including all neighboring counties. Going out tonight? Have fun. Drive safely! And don't let a traffic ticket ruin your night out! The attorneys at the Law Office of Todd E. Tkach, P.C. represent people who have received traffic citations in all jurisdictions throughout the Dallas/Fort Worth metroplex. Did you get a speeding ticket? The attorneys at the Law Office of Todd E. Tkach, P.C. represent people who have received traffic citations in all jurisdictions throughout the Dallas/Fort Worth metroplex, including all neighboring counties. Got a traffic ticket? 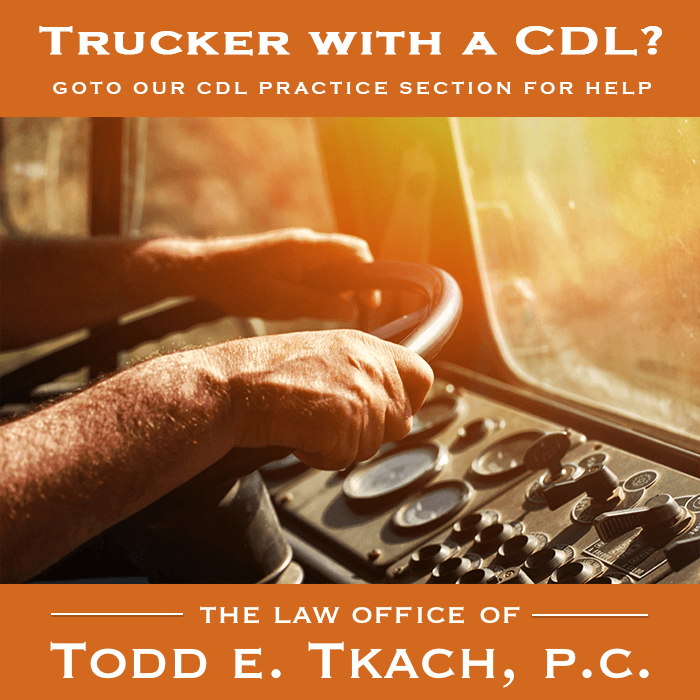 The Law Office of Todd E. Tkach, P.C. represent people who have received traffic citations in all jurisdictions throughout the Dallas/Fort Worth metroplex, including all neighboring counties.